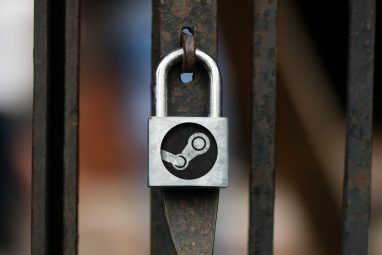 With the recent release of Counter-Strike: Global Offensive, you could argue that Valve’s Steam is as popular as ever. The refreshed FPS adds new depth to to Valve as a brand and certainly empowers Steam as the world’s leading desktop gaming client. Although we’ve been taught to worship anything Steam’s Gabe Newell pushes out at us, it’s very important to remember that you have other options to explore. I won’t argue that anything beats Steam’s annual sale during the summer, but make sure you keep your eyes open. 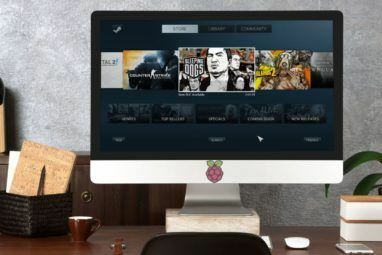 Although Steam’s community is unrivaled, there are a lot of other desktop and laptop clients that will allow you to buy, download, and manage your digital copies of games. Today, let’s look at four other popular Steam alternatives, some of which you’ve probably heard of. Desura is a client for the Windows and Linux platforms, though a Mac version is set for an eventual release. Whereas Steam caries the huge, blockbuster titles, Desura aims towards creating a bridge between player, developer, and mods. The games you’ll find on Desura aren’t incredibly popular, but it’s great to see developers like Frozenbyte and S2 Games reaching an audience. Desura’s stance on DRM is much different to others in the same field. Desura encourages developers not to use DRM, but publishers and developers are able to sell titles that use DRM technologies. Desura does a great job of notifying users if a game or publisher ships with DRM. Desura is very community-driven and of all of the Steam alternatives, I’d liken their community to one that is as friendly and “together” as Steam’s. Desura carries games like First Strike, Crysis, Battlefield 3, Mount & Blade, Quake 4, and more. Desura also carries free games. Although EA has received lots of recent static due to a number of issues (namely their relationship with DRM and using customer data), you can’t argue that Origin is a powerhouse gaming store and distribution client. While Desura seems marketed towards another demographic, Origin is a direct competitor to Steam. Even considered to be a beta product, features like profile management, friends and chat, and direct game joining put it on a pedestal to be taken seriously. With more than 10 million users already, it’d be tough not to see it in that light. Origin caries a ton of major titles: Battlefield 3, Mass Effect 3, Darksiders II, the SimCity series, Crysis 3, Dead Space 3, and more. Developed by Stardock and originally called Impulse, GameStop App is now under the GameStop brand and the acquisition has really supercharged the online store. Activision, Popcap, THQ, Ubisoft, and Epic Games are some of the publishers and developers you can find featured in the GameStop App store. A cool and unique feature of GameStop App is their backup management. Users can revert to an older version of a software or game if the latest version doesn’t meet their standards or work for them. A lot of digital distribution clients don’t take this measure, and it should be appreciated. The GameStop App client features Discovery, a beta feature that mashes together the latest gaming news, videos, and more from the GameStop network, Kongregate, Game Informer, and other sites. It’s a cool little way to keep up with the world of PC gaming. Capsule is Green Man Gaming’s desktop client for Windows. 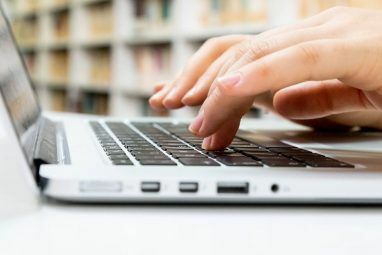 Though the store is not directly integrated in the client and exists on the GMG website itself, Capsule acts as a great way to manage and queue your game downloads. Unlike any other digital retailer, our customers can trade-in their digitally downloaded games for credit in their account and this credit can then be used for new purchases. We have some very clever patent-protected technology that allows only us to do this. You can find games like World of Goo, Deponia, Tower Wars, Dark Souls, and more on GMG, all downloadable through the Capsule client. Which of these four poses the biggest threat to Steam? Which is your favorite? Let me know in the comments! I've been using Steam now for a little over 7 years and the service has definitely grown over the years from strength to strength. Back when Steam started, it was more of a hassle and pain in the ears than anything else. But Valve stuck with it and I think they cracked the code to our wallets and built something that will still be around for many more years to come. In the same breath, in the beginning of this year, I went on a spree to find similar services and I happened upon Desura, Direct2Drive (now part of GameFly) and Green Man Gaming. All of these sites offer games that Steam does not offer. Games that 90% of people would enjoy. So it was a refreshing change to use these services in parallel with Steam as I had access to an even bigger platter of games to choose from. Although it is worth noting that GameFly has subsequently brought in region restrictions. Meaning being from South-Africa, I can not purchase any games from there store any more. Which is a bit annoying. Well, the Steam owner is one of the wealthiest people on the planet currently. i have used Steam and EA and Desura, but i had never heard of the others. since i am a major non-fan of Steam this gives me an option to look into. Too bad, Origin doesn't believe in discounts like Steam does. I don't believe for a second offer a discounted rate on a title from time to time cheapens the value of a Title. EA is just greed, which bothers me.